Redis is an in-memory data structure store known for speed and often used as a cache. Both Redis and Aerospike are open source, however, when applications need persistence or when applications must scale but servers have maxed out of RAM, developers should consider Aerospike, a distributed key-value store that is just as fast or faster than Redis, but scales more simply and with the economics of flash/SSDs. A benchmark comparing key-value store performance of Aerospike running “out of the box” and Redis with application level sharding - on Amazon Web Services (AWS) - showed that Aerospike is faster than Redis for certain workloads. Follow the benchmark steps and see for yourself. What is the difference between Aerospike and Redis? Cores Multiple instances can be bound to multiple cores. Risk of losing replicated data if master and slave are on the same node. A single instance can take advantage of multiple cores. No risk of losing replicated data; rack-awareness support can be used to ensure that replicas are distributed on different nodes. Persistence Data can be persisted using snapshots and Append Only Files (AOF). When using AOF, the whole log must be reapplied at restart. Data can be persisted in pure RAM with asynchronous writes to HDD. Data can also be persisted with SSDs, using a proprietary log structured file system. Fast Restart capability in the Enterprise Edition enables Aerospike server to be restarted without rebuilding the index from storage. Clustering In beta; point-point (n-1)2 TCP connections. Auto-clustering using multicast heartbeats. Mesh (unicast) mode can be used if multicast is not available. Replication Manual configuration of master-slave. A node is only a master or a slave, requiring more machines to be managed. Asynchronous replication may lose data if node goes down. Auto-assignment of master-slave. Simpler operations - same machine can be master for some partitions and slave for others, requiring fewer machines to be managed. Synchronous replication ensures that data is never lost. APIs Application must know which node has the data and which node to send request to. (Clustering, in beta, removes the need for this.) Rich set of data structures and operations. No nested data structures. UDFs, pub/sub. Application does need not know where to send the data. Cluster aware client automatically sends data directly to the node with the data. Key value operations on integer, string, list, map, blobs. List and map data structures can be nested. UDFs, distributed queries, aggregations. Use Cases Popularly used as an LRU cache. 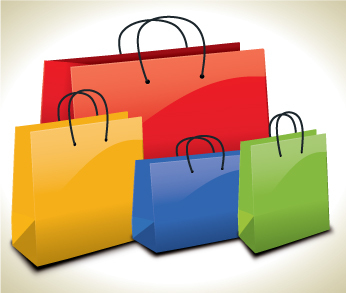 Can be used as a cache with auto-expiration.Front edge operational database used as session store, user profile store, id-mapping, dynamic web portals, fraud detection, Real-Time Bidding (RTB) etc. Good for apps that require the speed of RAM and scale of flash (SSDs). Looking to switch from Redis to Aerospike but afraid of a painful ‘extraction’ process? Aerospike Director of Applications Engineering Peter Milne's blog post explains how to obtain the semantic equivalent of Redis operations, on simple types, using Aerospike. 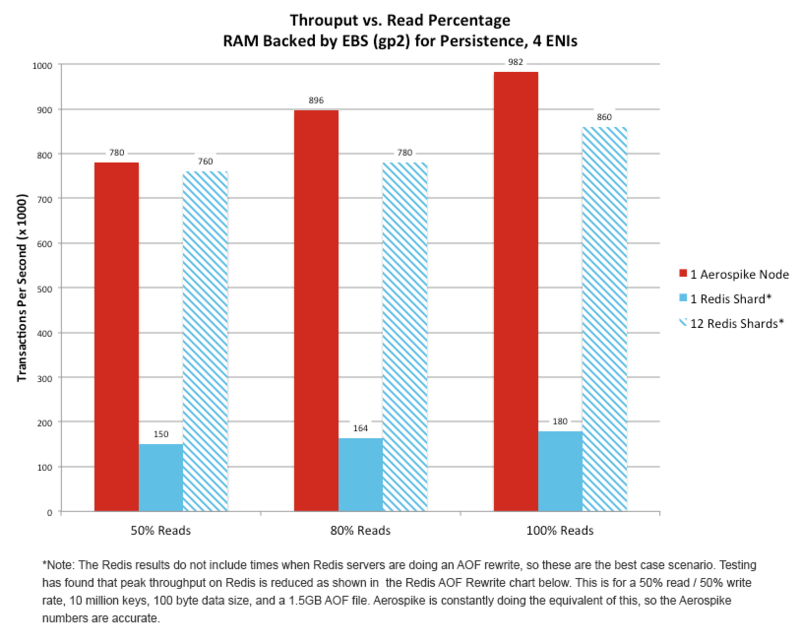 Read Lynn Langit's benchmark showing Aerospike faster than Redis. Lynn is a AWS Community Hero, Google Cloud Developer Expert, Microsoft MVP (SQL Server), MongoDB Master and ACM Distinguished speaker. Read why Yashi selected Aerospike over Redis, watch the hasgeek session on “Alternatives to Redis while not compromising speed” and check stackoverflow. eGloo evaluated Memcached, MongoDB, and Redis for a fast NoSQL key-value store before discovering Aerospike. In his blog post, CEO and co-founder George Cooper examines technologies eGloo is utilizing to develop self-programming and self-assembling information systems at Internet scale. Get the latest Aerospike product news and announcements!